Find green wood and dry it yourself – This is probably the cheapest option, especially if you have your own source of wood and the space to dry your logs properly. However, bear in mind that it will take a while to season. Seasoning is the process of removing the moisture from wood. 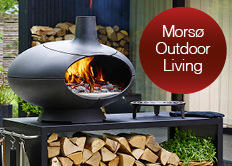 This can be best achieved by stacking undercover in a way which allows the air to circulate the wood and carry the moisture away as it evaporates. You need to allow at least a year, ideally two for this process. 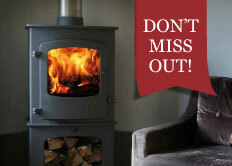 Buy kiln dried logs or briquettes. There can be sustainability issues with this sort of purchase, as energy has been added to dry the fuel before it reaches you, though some (but not all) suppliers use wood-fired kilns. Although a more expensive route than most it is the simplest way of fuelling a stove. Buy a moisture meter. Anything over 25% moisture content is classed as ‘wet’ or ‘green’ wood. Burning wet or green wood will not only lead to an inefficient, low heat output from your stove, but can also cause creosote/tar build up in the chimney and the blackening of the door glass. For peace of mind you can buy amoisture meter which will tell you how much moisture is in your logs. To test the moisture content of your fuel, take a freshly split log and firmly press all prongs of the metre into the freshly chopped face. Your reading will indicate to a reasonable degree of accuray the moisture content of your wood. 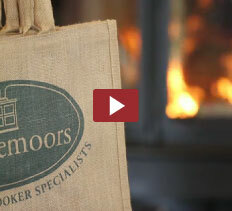 Which wood is the best to burn in a woodburner?